•By Anna and Sarah - We bring the best quality of nuts & dried fruits and snacks & flavors all around the world into your bag and onto your plate. •STORAGE INSTRUCTIONS: Store in a cool, dry area; after opening, place in tightly sealed airtight or heavy-duty plastic bag. •Allergy information: Packed in a facility that also handles tree nuts. •We sell them in resealable bags, you can keep them fresh. •Origin: Philippines - Packed in USA. 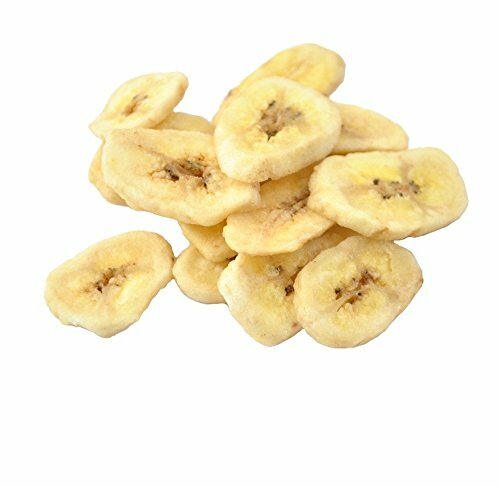 ORGANIC Delicious Banana Chips in Resealable Bag - Lovely Sweet Flavor & always fresh. STORAGE INSTRUCTIONS: Store in a cool, dry area; after opening, place in tightly sealed airtight or heavy-duty plastic bag. Origin: Philippines - Packed in USA - Anna and Sarah brings you the flavors of the world. If you have any questions about this product by Anna and Sarah, contact us by completing and submitting the form below. If you are looking for a specif part number, please include it with your message.